Running latest version released in 2018 of CNet BBS software! One of the 419 Area code’s oldest BBSes still running solid. We offer a retro look in the past as well as modern. We have several online games. 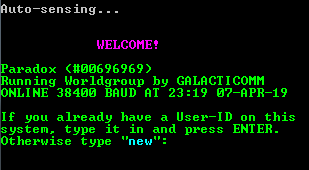 A Mystic BBS support site as well as older files from the past on our amazing CD changer! ** Fixed the redirector to neverneverlandbbs.com !! This BBS is for fans of the Apple Newton PDA family. Put this board up for my friends in New Orleans! I used to run Fear and Loathing/Peaceful Death in NOLA back in the 90s.